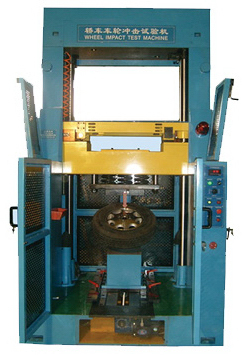 RPM supplies tire testing machines like endurance high speed test machines for PC tires, TBR tires, TB tires, PCR tires and motorcycle tires, inside drum endurance test machines for TBR tires, rolling resistance test machines for PC tires and TBR tires, tire force & moment test machines, 3M diameter drum tire noise test machines, 3M or 5M diameter drum OTR tire endurance test machines, TB or MC tire plunger test machines, tire static load test machines, tire plunger bead unseating test machines, tire run-out measuring machines for general tyres or agricultural tires, tire cutters, bicycle tire endurance test machines, and wheel testers like radial fatigue test machines for car wheels (dynamic), PC LTTB wheels and truck & bus wheels, dynamic cornering fatigue test machines for car wheels and truck & bus wheels, lateral Impact test machines for car wheels (13°or 30°), and standard test rims (fordged steel) and rim contour measuring tools. 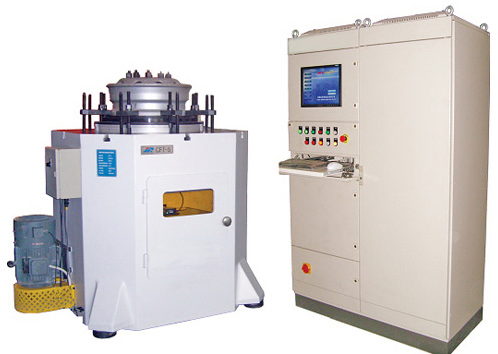 Radial Load: Max.30 kN, Accuracy: ±1%P.S. Teat Load: Max.100 kN, Accuracy: ±1%P.S. 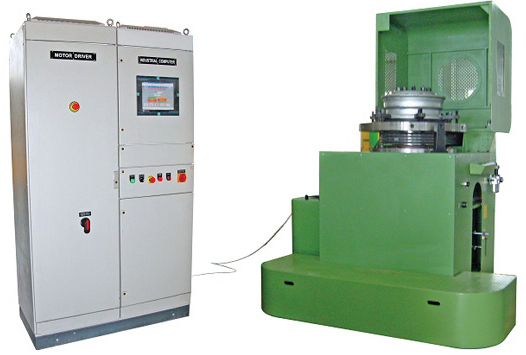 Radial Load: Max.150 kN, Accuracy: ±1%P.S. 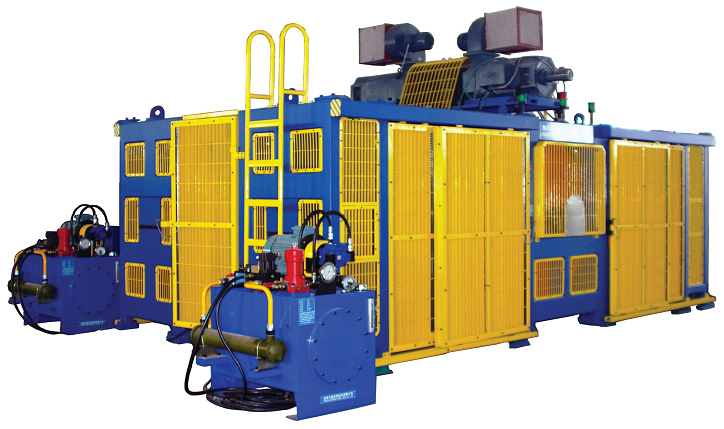 Test Load: Max.100 kN, Accuracy: ±1%P.S. 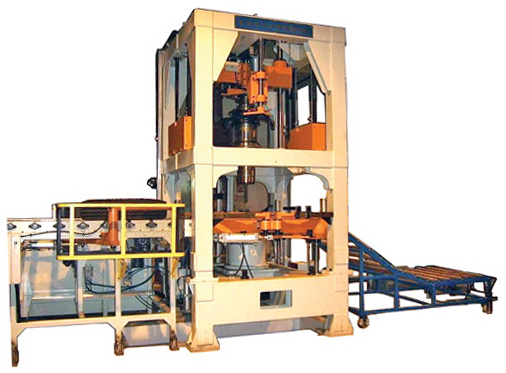 Machine Application: Used for Evaluating Truck and Bus Tire Carcass Rigidity, Endurance and High Speed Performance by Using a Certain Test Method. Test Load: Max. 100 kN, Accuracy: ±1.5%P.S. Test Load: Max.10 kN, Accuracy: ±1%P.S. 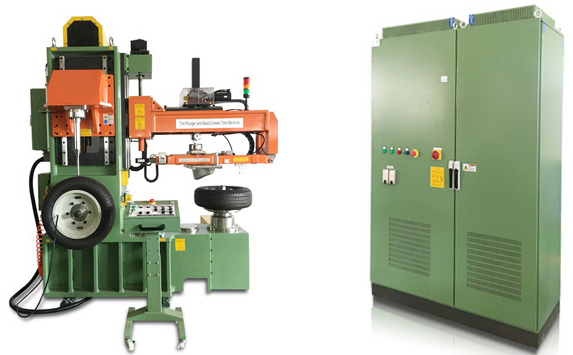 Machine Application: Used for Passenger Car Tire Endurance and High Speed Test with Slip and Camber Angle Functions. Test Load: Max.35 kN, Accuracy: ±1%P.S. 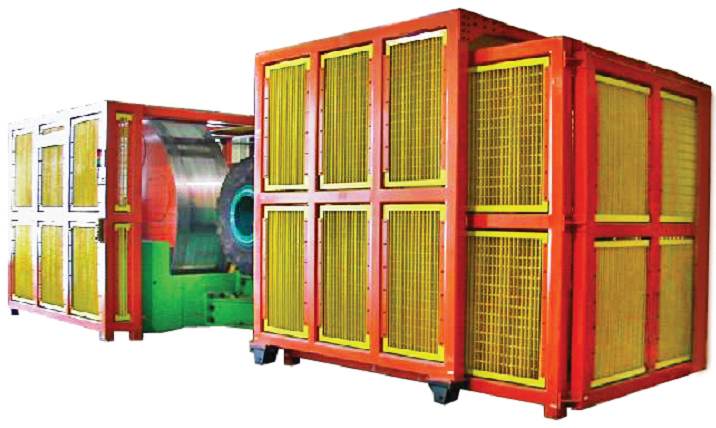 Rim Size: 12" ~ 26"
Rim Size: 15" ~ 24.5"
Machine Application: Used for Measuring the Five Tire Forces and Moments in Steady-State under Free-Rolling Conditions as a Function of Slip Angle and Normal Force. 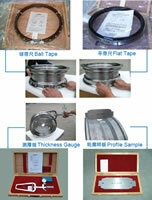 Tire Rim Diameter: 13" ~ 28"
Rim Diameter: 12" ~ 28"
Test Load: Max.70 kN, Accuracy: ±1%P.S. Test Load: Max. 200 kN, Accuracy: ±1%P.S. Test Load: Max. 400 kN, Accuracy:±1%P.S. 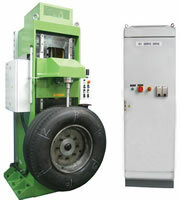 Machine Application: Used for Inspecting OTR Tire. 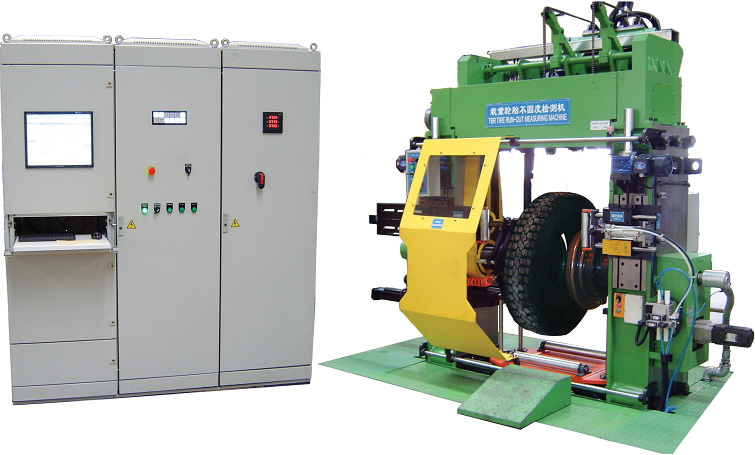 It can evaluate the performance of OTR tire via the TKPH value (related ton kilometer per hour), which is arrived through tire temperature influence analysis of working cycle. Rim Diameter: 25" ~ 63"
Test Load: Max. 1500 kN, Accuracy: ±1%P.S. 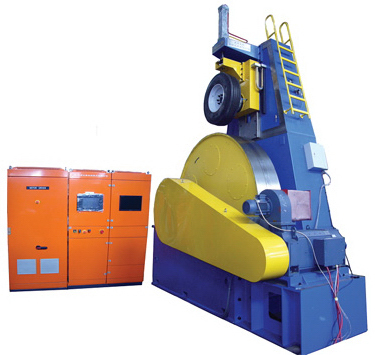 Rim Nominal Diameter: 15" ~ 24.5"
Machine Application: Used for Performing the Tire Strength (Stiffness) Test and Measuring the Destructive Performance. 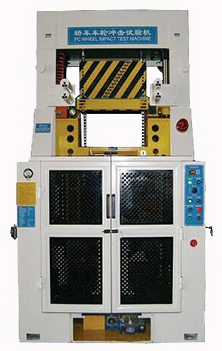 Rim Nominal Diameter: 8" ~ 21"
Machine Application: Used for Passenger Car and Truck and Bus Tire Plunger and Bead Unseating Test. Machine Application: Used for Measuring TB Tire Radial Run-Out and Lateral Run-Out. 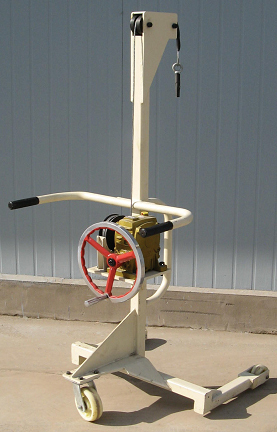 Rim Nominal Diameter: 16" ~ 24.5"
Rim Nominal Width: 4.5" ~ 14"
Rim Nominal Width: 5.5" ~ 14"
Machine Application: Used for Measuring Agricultural Tire Radial Run-Out and Lateral Run-Out. Tire Rim Nominal Width: 20" ~ 50"
Tire Rim Width: 9" ~ 42"
Machine Application: Use for Cutting All Kinds of Bias Tire and Radial Tires. 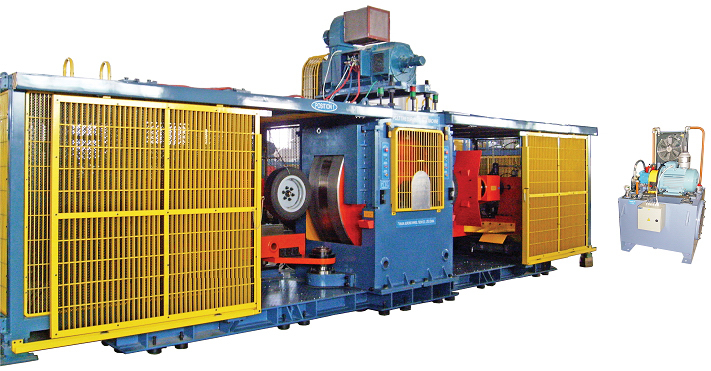 Min Inner Bead Diameter: 17.5"
Machine Application: Used for Cutting All Kinds of Tires, Which Cuts the Entire Tire Section into Segmented Pieces, so as to Analyze the Tire Section Face. 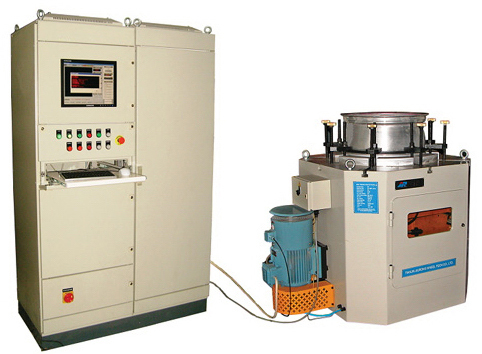 Machine Application: Used for Bicycle Tire Endurance Test on Drum with Cleat. Test Load: Max. 8 kN, Accuracy: ±2%P.S. 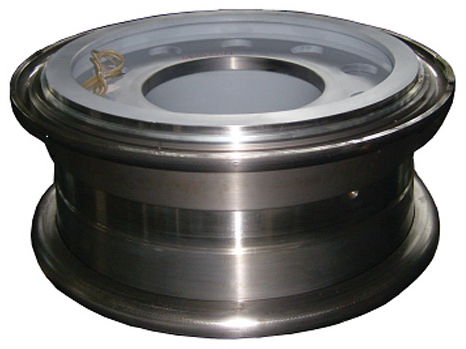 Wheel Diameter: 12" ~ 26"
Wheel Width: 4" ~ 12"
Test Load: Max.30 kN, Accuracy: ±1%P.S. Wheel Diameter: 13" ~ 24.5"
Test Load: 1# Position Max.30 kN,accuracy: ±1%P.S. 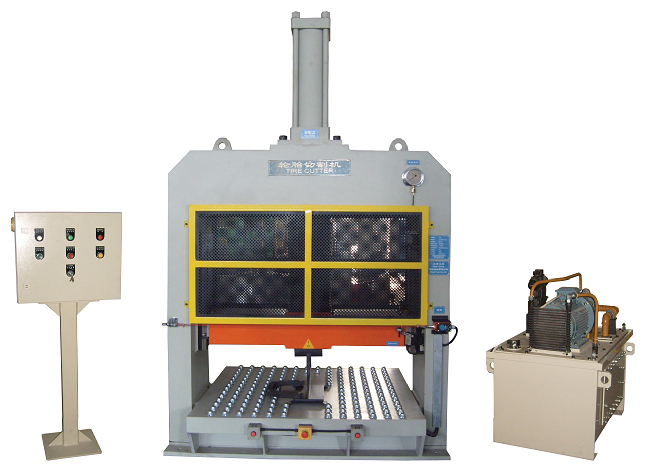 2# Position Max.100 kN,accuracy: ±1%P.S. 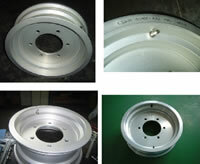 Wheel Diameter: 1 6" ~ 24.5"
Radial Load: Max.100 kN, Accuracy: ±1%P.S. Wheel Diameter: 12" ~ 24"
Wheel Width: 3.5" ~ 10"
Bending Moment: Max.10kN.m, Accuracy: ±1.5%P.S. 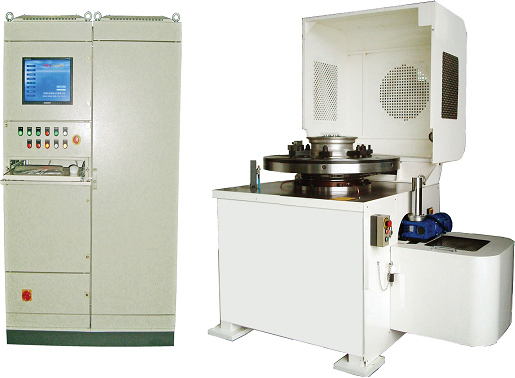 Load Displacement Range: 0 ~ +30mm, Accuracy: ±2%P.S. 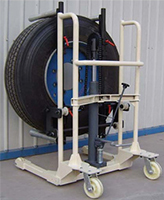 Structure: Wheel is Fixed, Loading Will Rotate. Loading Bending Moment: Max.10 kN.m, Accuracy:±1.5%P.S. 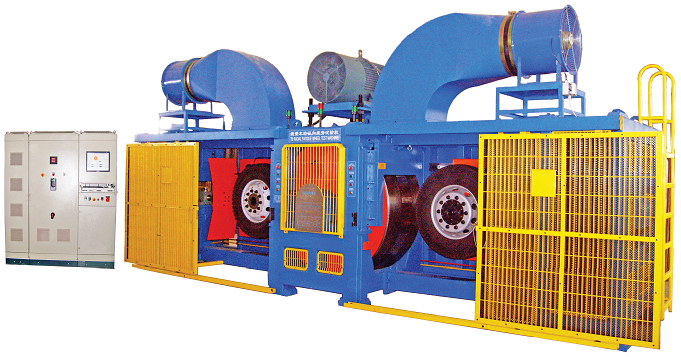 Structure: Wheel Rotates, Loading Direction is Invariable. 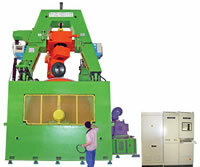 Wheel Diameter: 16" ~ 24.5"
Wheel Width: 5.5" ~ 15"
Bending Moment: Max. 50 kN.m, Accuracy: ±2% P.S. Structure: Wheel is Fixed, Loading Rotates. Bending Moment: Max.50kN.m, Accuracy: ±2%P.S. Structure: Included Angle between Impact Supprort Base and Plane is 30°. 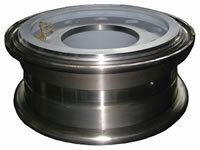 Enclosed with One Additional 90° Impact Support Base. 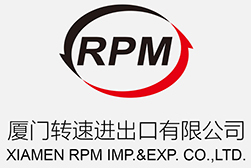 Design Standard: in Accordance with ISO China GB 3487 Standard or USA TRA, EU ETRTO, Japan JATMA, ISO Rim Contour and Factory Special Technology Standards. 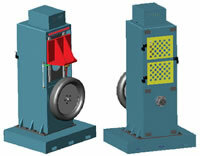 All rims of calibration diameter range between 4" ~ 32" can be customized as per user's need. 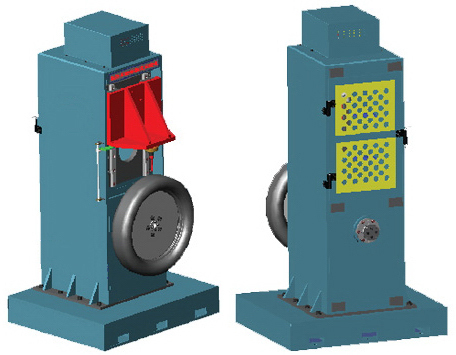 Technical Parameter: All rims of calibration diameter range between 8" ~ 24.5" can be customized as per user's need. 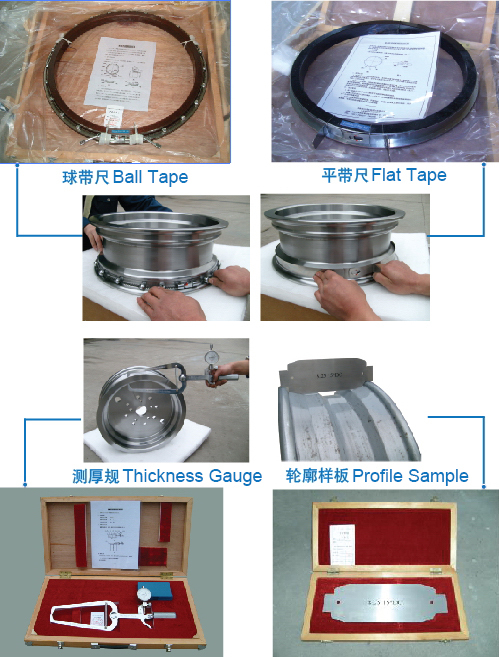 Design Standard: In Accordance with ISO China GB 3487standard or USA TRA, EU ETRTO, Japan JATMA, ISO Rim Contour and Factory Special Technology Standards. 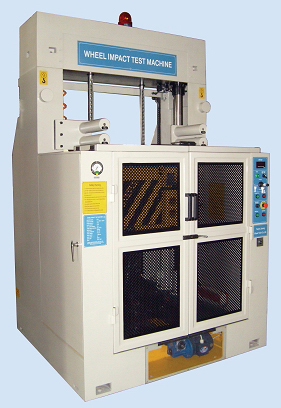 Technical Parameter: All rims of calibration diameter range between 20" ~ 63" can be customized as per user's need. 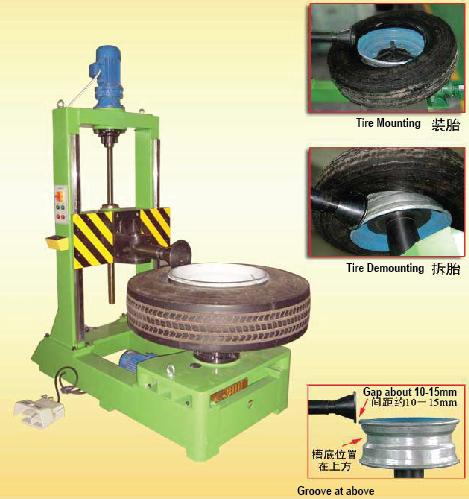 Tire Diameter: 16" ~ 24.5"